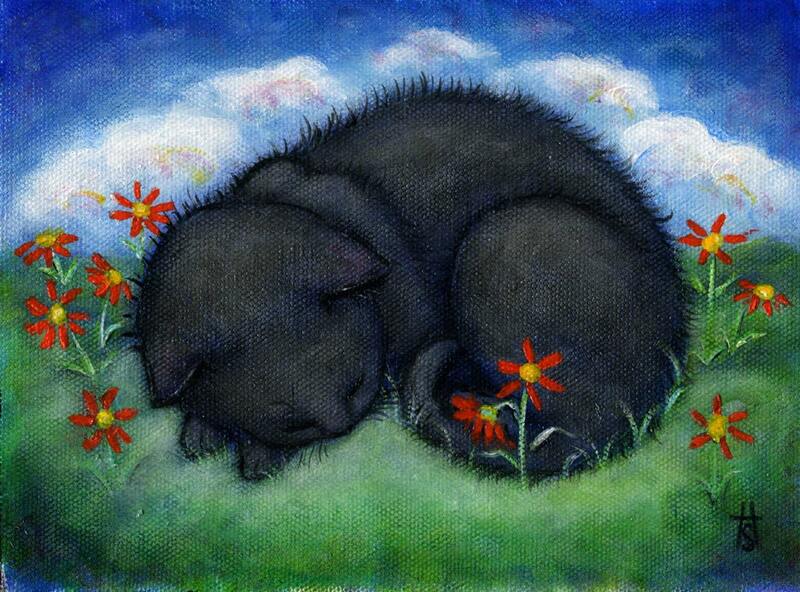 Little black cat takes a nap among the wildflowers like we all should, but never do. The image is 5x7 inches just like the original painting, and is printed with vivid Canon inks on Red River heavy 60lb acid-free 8 x 10 paper which has a soft enhanced matte finish, and includes a white border around the image. It is signed by me in ink under the image, on the white border.